We offer comprehensive, high quality, technically advanced, and fun to use entertainment and control systems for your ultimate home. We specialize in high-end residential systems which are custom designed to meet our client's exacting standards. We create cohesive, immersive and delightful environments while harmonizing with both architecture and interior design. We employ advanced IP-based digital technologies to ensure that you see and hear precisely what the director or musician intends without loss or interference, and that you have total access to a whole new world of on-line entertainment sources. We ensure that you have access to all content without having to search for a CD, DVD, or an XM radio station, and make every aspect of home systems easier to control and more environmentally sound. We believe in supporting our clients for life, and in keeping our clients systems up to date with the best that home technology can offer. Finally, we design all our systems to be as energy efficient and as green as possible. We serve nine Bay Area counties with full implementation services, and offer consulting and design services worldwide. 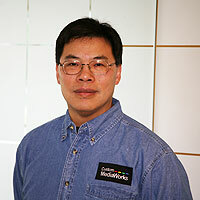 After a successful career in high tech and many years as a hobbyist, David Currie founded Custom Media Works under the banner of HomeWorks in 2002 and joined forces with Farley Wong in 2004 to create Custom Media Works, Inc., now a premier residential systems consulting and implementation company. Janet Gehrke, a seasoned silicon valley technology executive joined the team in March of 2007 to provide the company with professional management and compliance expertise. 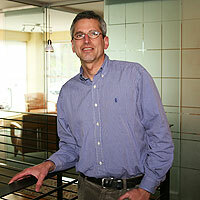 Together, David, Farley and Janet have combined experience of over 75 years in technology and software. David Currie heads up the design and consulting practice and Farley Wong leads all phases of installation and ongoing support. Each project is assigned a team consisting of a system designer, a project manager, network and control systems engineer, and a lead installer. That team works closely with architects, interior designers and builders to ensure a high degree of design integrity and perfect execution. The core team is deeply involved in every project. The entire team works together during the planning stages and remains involved throughout the lifecycle of your project. Our unique team appraoch ensures that you get the best possible result at all times, before, during, and after our team has turned the system over to its new owners. We have all encountered poorly trained service personnel. Given how important technology is to the lives of modern families, it must not only be reliable and easy to use, it must receive immediate attention at the first sign of a problem so client's don't miss a beat. Our commitment is for life, and to do whatever is necessary to ensure ongoing satisfaction.